With three Celtics starters getting some rest, Boston young guns got their opportunity to play some solid minutes and they did not dissapoint. 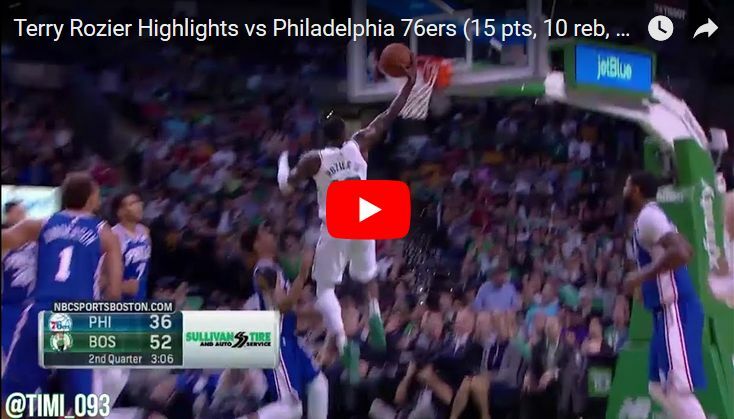 Terry Rozier was arguably Celtics' best player on the floor on Monday as he flirted a little bit with a triple-double (15 points, 10 rebounds, 6 assists). His backcourt mate Marcus Smart had another solid performance as he got 12 points (including 2-for-3 from downtown), six boards and two assists. But it was Semi Ojeleye who scored most points (16) on the night. Abdel Nader added 15 points on his own and was one of six Celtics players in double-digits. Another one was Jaylen Brown who finished the game just one rebound shy of a double-double, scoring 12 points to go along with nine rebounds. We also got to see some great defensive plays, especially from Guerschon Yabusele. 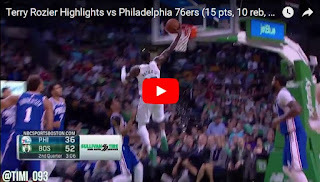 Frenchman had seven points, five rebounds and three steals to go with three blocks as well and was one of the main reasons for great Celtics team defense in a blowout win over Sixers.